- Featuring 12 different compartments and a clip closure, this compact (10,5 x 7,2 x 2 cm) wallet with a brushed aluminum finish really is ‘techno smart’. - Packaged in single white carton box. 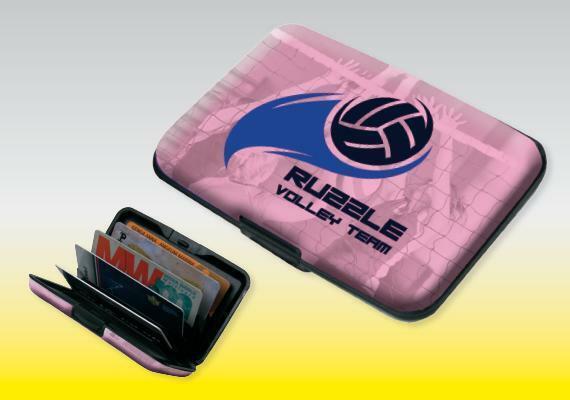 - Customizable with 4-colour-print on the whole surface.